Like you, the right bed can make a world of difference in the comfort, health, and well-being of your best furry friend. This is especially true if you share your heart and home with a big dog! 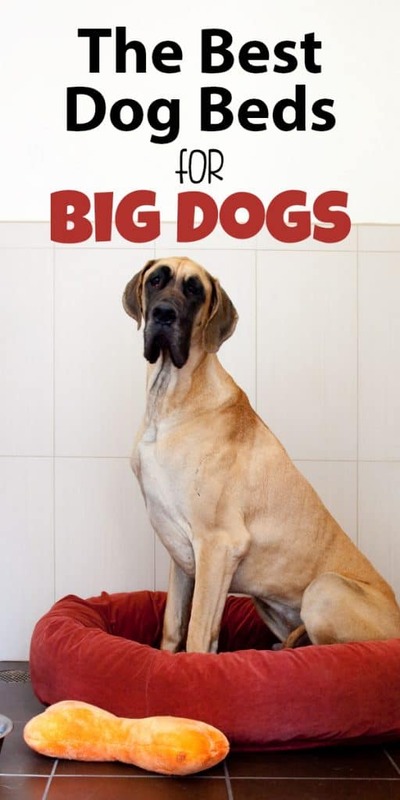 With that in mind, we’ve scoured the market to bring you the Best Dog Bed for Big Dogs. Big dogs have unique needs when it comes to nap time. 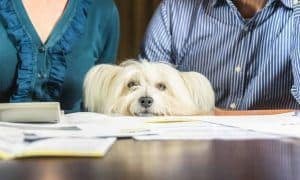 Because of their size and weight, it’s important to make the right choice when shopping for a bed for your bigger fur-family. 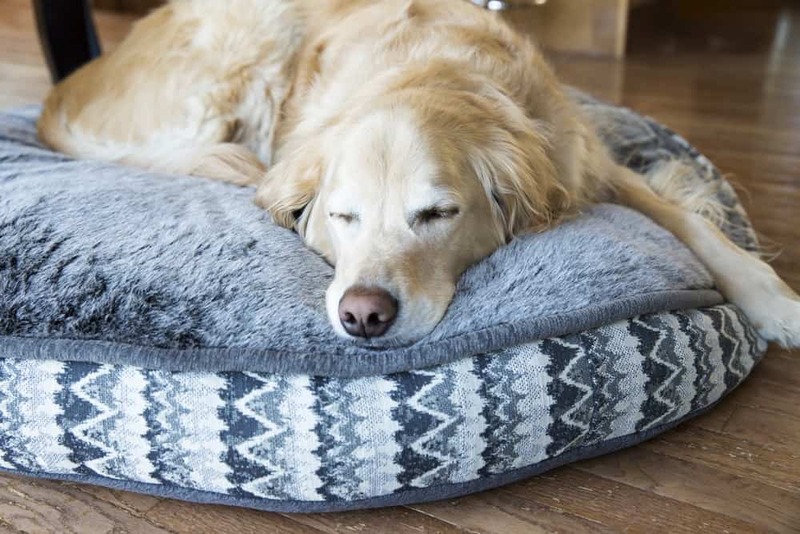 Your big dog’s bed should, of course, be soft and cozy, but should also be durable and sturdy enough to handle their size and weight while cushioning joints and providing orthopedic support during the restorative sleep that’s so important to their overall health and wellness. 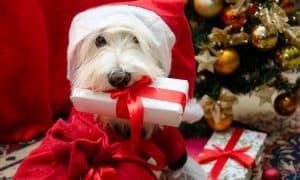 Buy Dog Beds & Mats Today – Shop over 1,000 Brands at Chewy! Size: Of course the most obvious consideration when choosing a bed for a big dog is the size. Your dog’s bed should be large enough for them to fit entirely, laying fully stretched out without limbs hanging off the sides of the bed (whether they choose to sleep that way is another story!). Durability: Because big dogs weigh substantially more than their smaller counterparts, just providing a bigger sleeping surface isn’t always adequate. In addition to size, they’ll need a bed that’s durable enough to hold their weight and stand up against wear-and-tear without flattening beneath them. 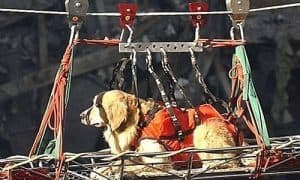 Joint Support: All big dogs should be provided with an orthopedic bed designed to cushion joints, ease pressure, and allow for proper alignment of the spine. 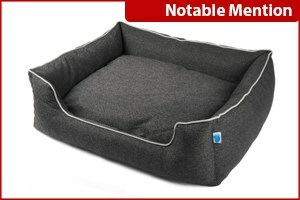 Orthopedic pet beds aren’t just for luxury or comfort, they’re an essential item for large, arthritic, or senior dogs. 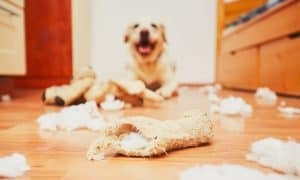 Ease of Cleaning: Experts recommend cleaning the dog’s bedding as often as we clean our own to prevent dirt, odors, dander, and hair from building up. So, unlike smaller dog beds that can often be tossed in the washer, Big dog beds should be easily disassembled, with removable, washable covers. Appearance: Parents of big dogs know their dog’s bed can take up quite a lot of room. 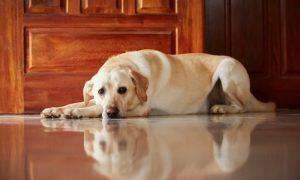 So, while this isn’t the most important factor, the dog bed’s appearance does play a role in the purchase decision. We considered whether our top picks were available in a variety of colors to match most home decor. 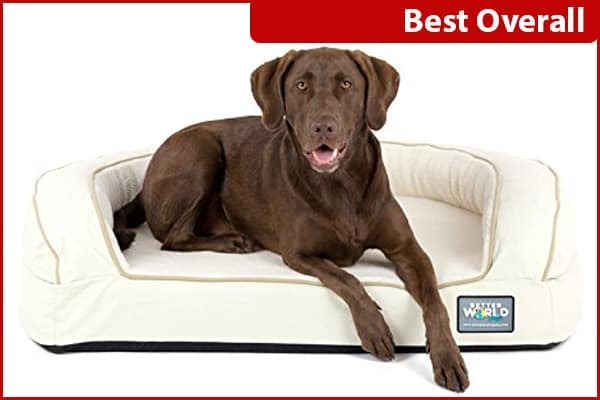 Cons: Unlike many competitors, the Better World Pets Comfort Bolster Dog Bed is only available in two color options – white or gray. 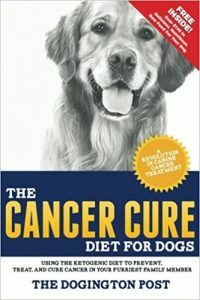 “I love it and more importantly my dog loves it! She’s an 18 year old Lab mix with severe arthritis pretty much everywhere in her body. Most of her past beds have been orthopedic mattress style beds. All of them flattened out over time, or she would fall off the edge and end up sleeping on the floor. The memory foam padding is heavy, instead of the cut up foam you find in most other beds of the same style, so we haven’t seen any issues with it losing its shape and it seems really unlikely it will flatten out. PLUS, the bolstered edges prevent her from falling off the bed in her sleep. And even better, since age has brought some night time accidents, the waterproof lining is a god send – actually waterproof and not just resistant like most others. I’m glad I found this bed and I’m hoping it’s the last one we will need to purchase.” -K.S. Pros: For pet parents on a budget that still want to provide the best in comfort and support, look no further than the Furhaven Pet Orthopedic Luxe Lounger. Made with dense, medical-grade foam and a cozy faux fur or microvelvet cover, the Luxe Lounger is contoured to cradle your pet’s body and provide therapeutic back and neck support without breaking the bank – surprising since the bed is made using low VOC USA-sourced foam that’s manufactured without PDBW flame retardants, mercury, lead, and other heavy metals. 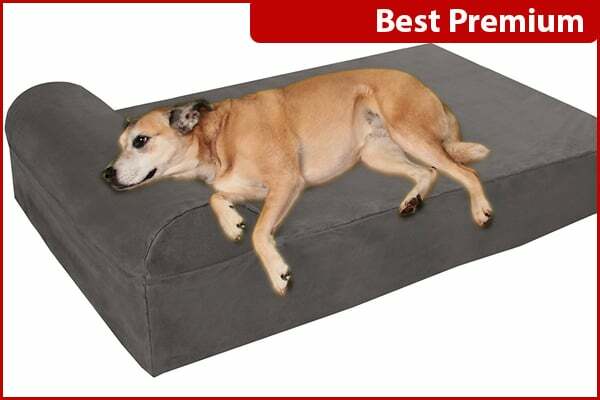 This bed is also an excellent choice for older or arthritic dogs that can’t step into thicker or bolstered pet beds. It’s water-resistant against spills and leaks and the removable cover is easily washable. Plus, with 9 different color and fabric choices, you’re sure to find one that perfectly matches your home. Cons: While this bed is available in jumbo size for the biggest of big dogs, the orthopedic foam center is only 2.5” high, so heavier dogs may need a thicker mattress to avoid bottoming out. “My 13 year old beagle/cattle dog mix needed a new bed after his wore out. He typically likes donut style beds, and dislikes flat “pads,” so I took a chance on this one. But he LOVES it! It’s memory foam, not egg crate, which I love, and it’s low enough in the middle for him to get on and off easily, but the sides are raised up for a head rest or just overall “enclosed” feeling without actually being enclosed. He has arthritis, IVDD, and hip dysplasia, so being well-supported throughout the night is extremely important. He had been waking me up an hour or so too early every day, but the first night on this bed he slept straight through the night. It’s a winner for us! 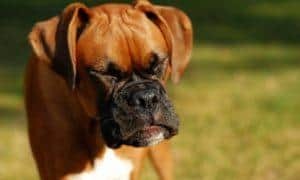 I’m happy with the quality and construction.” -S.S.
Pros: Made especially with big dogs in mind, Big Barker guarantees their orthopedic beds won’t flatten or lose their shape for 10 full years! Engineered to provide evenly distributed weight support for extreme comfort & durability, Big Barker beds are as comfortable as they are supportive. Made with 7″ of USA-made therapeutic foam (the same foam used in high-end human furniture) this bed supports every curve of a big dog’s body. 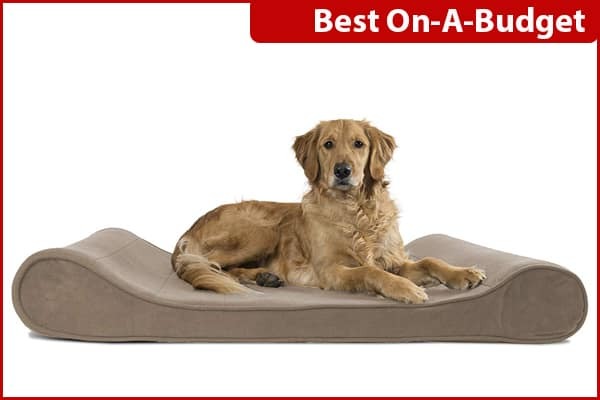 Ideal for big dogs of all ages (from 50 to 250 pounds), this bed will last for your dog’s lifetime, providing extra support as they age, when recovering from surgery, or living with conditions like arthritis, hip dysplasia, or other joint, bone, or muscle disorders. Additionally, Big Barker only uses “open cell” foam inside their beds, which allows for better airflow to keep your dog cooler. 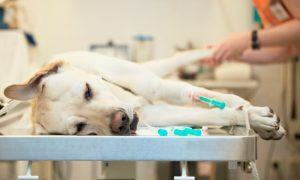 Most other foam beds are “closed cell,” which can trap hot air between your dog and the bed. Plus, they’re easy to clean, just unzip the machine washable cover and toss in the wash.
Cons: The hefty price tag. Although these beds are guaranteed to last 10 years – in most cases, it’ll be the last dog bed you’ll ever need to buy – they’re going to cost a bit more up front. “My 2 Pit Bulls LOVE their new Big Barker Beds! Very supportive and very comfortable for their old bones (13 and 10 years). Quality dog beds and so easy to unpack and set-up. Covers fit nice and snug. My dogs Zeus and Natasha love the headrest pillow and use it quite frequently. 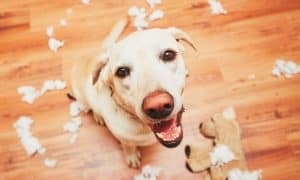 Other 5-Star reviews, the quality build, American-made foam supports, hand-made in the good ol’ USA by a small California family business, and, last but not least, a wonderful 10-YEAR Warranty/Guarantee on the foam supports finally sold me on Big Barker after researching several other dog bed makers. Several dog beds are less expensive — and yes, Big Barker Beds cost more initially — but in the long run (10 years Guarantee) Big Barker is by far the very best quality orthopedic dog bed money can buy. It does my heart good to see our loving dogs resting on the very best and sleeping (SNORING!) so soundly!!!! THANK YOU BIG BARKER BEDS!!!! !” -J.W. Because there are as many varieties and styles of dog beds as their are of dogs, no single bed will be perfect for every situation. With that in mind, we couldn’t ignore these specialty beds for big dogs! Pawhut Elevated Dog Beds are made with a heavy-duty mesh and durable stitching for even the largest, heaviest pups. And, metal frames make them lightweight and sturdy for both indoor and outdoor use. 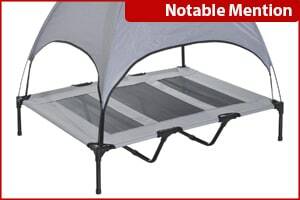 Check out the optional removable canopy cover for added shade, too! 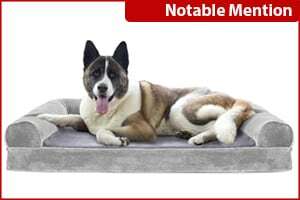 A gel foam layer at the top of this luxurious bolstered bed wicks away heat from your big dog’s body while providing a comfy, cozy retreat for a restful night’s sleep. EVERFRESH is an innovative odor control solution to controlling pet odors where they linger most – in bed! Beneficial probiotic microbes woven into the fabric breakdown bacteria and eliminate odors on contact. Best of all, it’s all natural, non-toxic, and lasts the lifetime of the bed, even through washing. Found this review helpful? Pin it!